A terrific turnout of 38 Junior Members representing 9 of our 11 Course Owning Clubs attended the above fun event at Bishopbriggs Golf Club, Academy Course, on Sunday 12th August. An even split of 19 Under 12’s and 19 under 15’s participated in the usual skill challenges demonstrated by our GGU Coach Alastair Forsyth. 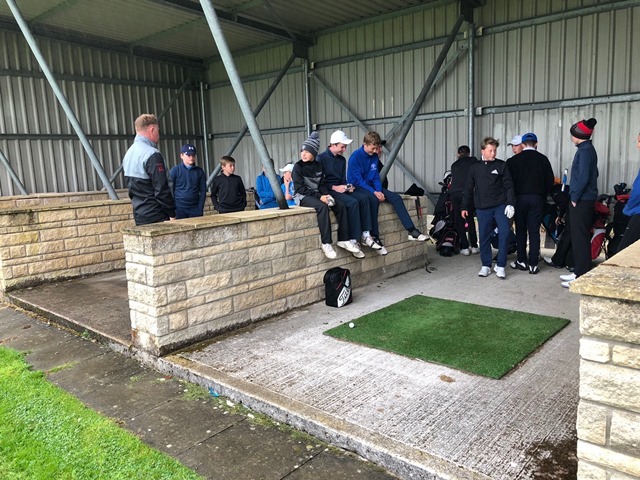 Despite some rain, all the boys and girls who attended thoroughly enjoyed the opportunity to practice their putting and chipping skills and learn the importance of developing a good short game. Prizes were awarded to 2 participants in each category. Thanks to all Parents and Junior Conveners for arrangements and transport to and from the venue. Also thanks to Gordon Jamison our Junior Team Manager and Andrew Smith for their assistance on the day. GGU Vice President & Junior Development Convener. Great matches in yesterday's Junior Matchplay Championships over Bishopbriggs. In the semi-finals, Louis Fleming Haggs Castle lost at the 20th hole to Chris McMillan Bishopbriggs and Logan Glately Sandyhills narrowly lost 2/1 to Josh White Bishopbriggs. In the final, was all square at the 9th with Josh moving up a gear to go on to win 3/2. Well done to Josh and all the juniors that took part. While numbers are still a challenge the quality of the younger golfer in Glasgow remains at a high level. Runner up Chris McMillan is pictured above with the proud Winner Josh White. A disappointing field of only 19 juniors played into todays Strokeplay Championship at Bishopbriggs. However all the juniors who did play all played well and enjoyed the golf course with winner Lachlan Reynolds, Glasgow Golf Club shooting a fine 67, with the Runner up Josh White Bishopbriggs scoring 69. Well done and thank you to all the boys that took part. Gordon Miller (Cawder GC) wins his first GGU Matchplay Trophy over Haggs Castle GC today. 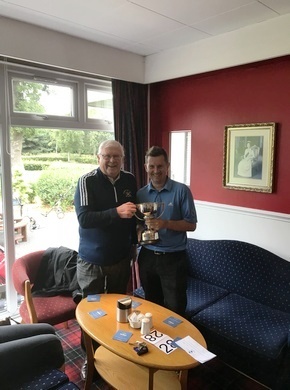 After having narrowly won his quarter final on the 19th hole on Friday, and winning his semi final on the 13th Hole v Sean Burns (Pollok GC), Gordon repeated the feat in the Final against Brendan McKenna (Pollok GC) to claim the Trophy. Pictured here Gordon receiving his trophy from Andrew Smith GGU President. A special thank you all the players that took part and to Haggs Castle GC for hosting this event. 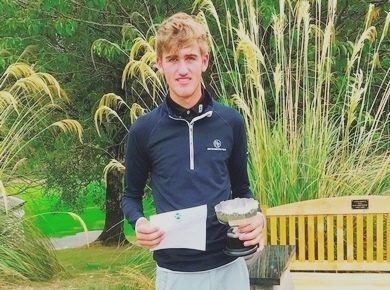 The 2018 Glasgow Golf Union Strokeplay Championship was won at the weekend by the top player in the County, Calum Fyfe. 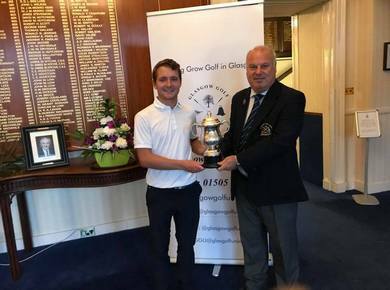 The event which was played over 36 holes at Glasgow Golf Club’s Killermont Course was well attended but young Mr Fyfe won with room to spare, his 9 under par total good enough for a 7 stroke win over Cawder team mates Graeme Cross and Craig Chalmers who tied for 2nd place on 2 under par. Killermont was, as always, in terrific condition with many of the players praising the speed and softness of the greens, despite the challenging drought. The top 16 available qualifiers will contest the Glasgow Matchplay Championship at Haggs Castle this week, with the final to be played on Sunday afternoon.